Eleanor "Nellie" Wilson, youngest daughter of President Woodrow and Ellen Wilson, first met businessman William Gibbs McAdoo when her father was governor of New Jersey. McAdoo was a widower and a leader in the Democratic party, and on this occasion of their first meeting, probably in 1912, he stayed overnight at the mansion. In the morning, he needed to catch an early morning train. Nellie, who was around 22, was tasked with seeing him off, and she was so nervous that she spilled the cream at breakfast...and almost spilled McAdoo's coffee. He didn't seem to mind, because at some point while he worked on her father's presidential campaign, he began pursuing Nellie. And no one much noticed, least of all her family. Perhaps they didn't expect the two to make a match, because Nellie had many young suitors, and McAdoo was a fifty-year-old grandfather with seven children. Supposedly, one evening McAdoo called at the White House. As the butler announced him, President Wilson began to rise, until the butler finished his sentence: "for Miss Eleanor." The cat was out of the bag. When Nellie's sister Jessie got married in the White House, Nellie pulled McAdoo into the empty Blue Room and taught him to Fox Trot. In January of 1914, he proposed, but she turned him down. He didn't give up, and his next proposal was accepted. 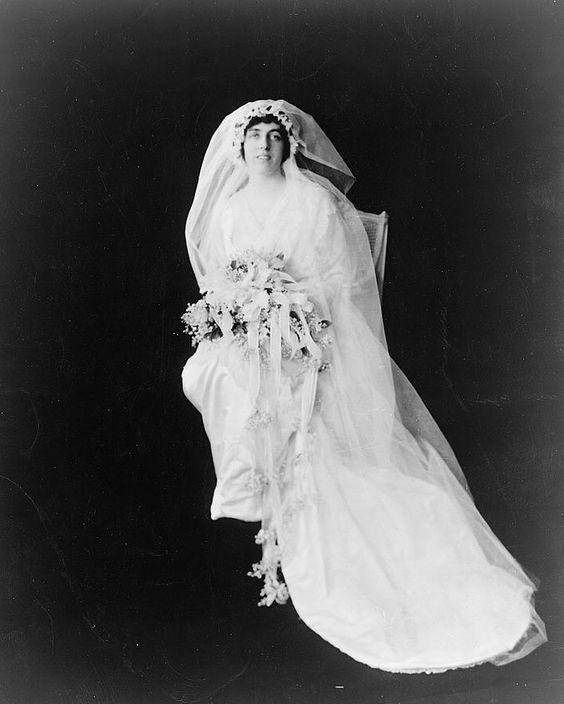 The First Lady's health was failing, Nellie's sister had wed at the White House just six months earlier, and the groom's children were not enthusiastic about their father's remarriage, so the wedding held on May 7, 1914 was a small affair in the Blue Room (where she'd taught him to Fox Trot). McAdoo offered to resign his cabinet post when he married Nellie, but President Wilson kept him on. Immediately, Nellie was a cabinet member's wife and was followed relentlessly by the press. Despite such pressures, the couple seemed happy and welcomed two daughters, Ellen and Mary. He left the post in 1918 to open a law firm, moved the family to California, and continued to be active in politics, running for president in 1920 and again in 1924, when he became the Democratic party's nominee. He lost, but decided to run for US Senate, and won, serving from 1933-1938. Nellie was happy in California, and she did not enjoy spending time in Washington. By this time in their marriage, the couple lived apart for much of the year. In 1934, he and Nellie divorced in what the Chicago Tribune called "a surprise" with the decree based on mental cruelty. Two months after the separation was finalized, the 71-year old McAdoo married a 26-yr old nurse. He died six years later of a heart attack and is buried at Arlington National Cemetery. Nellie worked on a biography of her father, The Woodrow Wilsons, served as a consultant on the biopic "Wilson" in 1944, and lived quietly. In 1965, she suffered a brain hemorrhage. She died two years later at age 77 in her California home and is buried in Santa Barbara. BIO: Susanne Dietze began writing love stories in high school, casting her friends in the starring roles. Today, she's the award-winning author of over a dozen historical romances who's seen her work on the ECPA and Publisher's Weekly Bestseller Lists for Inspirational Fiction. Married to a pastor and the mom of two, Susanne lives in California and enjoys fancy-schmancy tea parties, genealogy, the beach, and curling up on the couch with a costume drama and a plate of nachos. 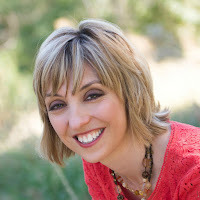 You can learn more about her and her books on her website, susannedietze.com. Her most recent book is My Heart Belongs in Ruby City, Idaho: Rebecca's Plight. Suszanne, thank you for sharing another informative White House wedding. This one is sad in ways with how it all eneded for Nellie. Yes, I was saddened by this story, too. Some of the White House weddings resulted in strong marriages, but not all of them. It aches my heart. She never married again, either. One of these days I need to read her book. So very interesting! I love history but I guess they didn't teach this in my history classes!! Thanks. Hi Paula! I have always loved learning about Presidential families, and it's always fascinated me when I learn someone married in the White House. If I'd had the opportunity to wed in the White House, would I have done that? I think I would have! Not many people get to to that, and it's beautiful, historic, etc. But I am glad I married in a church! It's interesting that Nellie would marry a man so much older. His oldest child wasn't much younger that she was. I'm saddened that her life didn't turn out to be a happy one. I wonder what happened to her daughters. Vickie, it is indeed sad. Nellie's daughter Ellen married twicem had a son, and died in 1946, and Mary Faith married three times and passed away in 1988. McAdoo's third wife never remarried, and outlived him by fifty years. influenced her to marry someone so much older. It is too bad things didn't work out for Nellie later on. didn't work out for Nellie later on.